NASA has selected three proposals to transform space communications, deep space navigation and in-space propulsion capabilities. The projects will develop and fly a Mission-Capable Solar Sail, Deep Space Atomic Clock, and space-based Laser Communications Relay optical communications system. Launches are anticipated in 2015 and 2016. "These technology missions will improve our communications, navigation and in-space propulsion capabilities, enable future missions that could not otherwise be performed, and build the technological capability of America's space industry," said NASA Chief Technologist Bobby Braun at NASA Headquarters in Washington. "Optical communication will enable rapid return of the voluminous data associated with sending spacecraft and humans to new frontiers. High-performance atomic clocks enable a level of spacecraft navigation precision and autonomous operations in deep space never before achieved, and solar sails enable new space missions through highly efficient station-keeping or propellant-less main propulsion capabilities for spacecraft," Braun added. 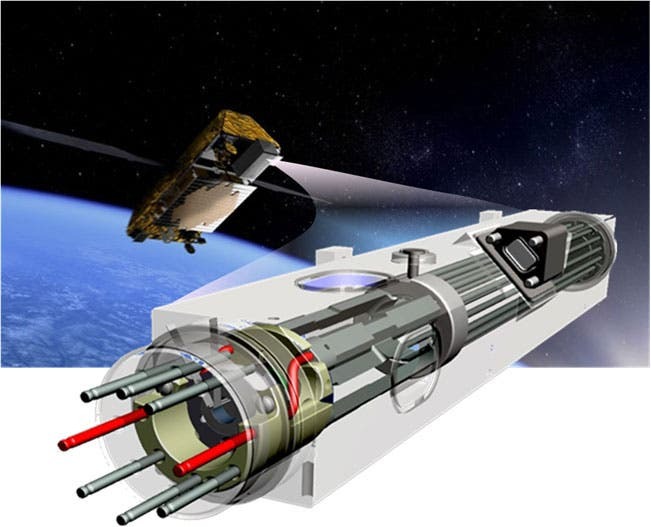 The Laser Communications Relay demonstration mission will fly and validate a reliable, capable, and cost-effective optical communications technology. Optical communications technology provides data rates up to 100 times higher than today's systems, which will be needed for future human and robotic space missions, requiring high bandwidth and a small ground station reception area. The Deep Space Atomic Clock mission will fly and validate a miniaturized mercury-ion atomic clock that is 10-times more accurate than today's systems critical to the performance of a wide range of deep space exploration missions.The investigation will fly as a hosted payload on an Iridium spacecraft and make use of GPS signals to demonstrate precision orbit determination and confirm the clock's performance. The Solar Sail will deploy and operate a sail area 7 times larger than ever flown in space. It is potentially applicable to a wide range of future space missions, including an advanced space weather warning system to provide more timely and accurate notice of solar flare activity. This technology also could be applied to economical orbital debris removal and propellant-less deep space exploration missions. The clock and solar sail will be ready for flight in three years. The optical communications team anticipates it will take four years to mature the technology for flight. In the image top of page, the device 'swooshing' into a satellite is the vacuum tube, one of the main components of an atomic clock that will undergo a technology flight demonstration.